Shakopee, Minn. – November 26, 2018 – Cyber Power Systems (USA), Inc., a leader in power protection and management products, received the Best UPS and Power Conditioning Vendor in the ChannelPro-SMB 2018 Readers’ Choice Awards. The annual award underscores CyberPower’s commitment to design innovative products that meet the highest standard of product quality, performance, and customer value in the industry. The multiple-choice survey, which provided space for write-in responses, was conducted by ChannelPro-SMB during the first quarter of 2018 and drew participation from more than 800 channel VARs, MSPs, integrators, system builders and IT consultants. Across more than 50 categories, readers were asked to select the option that best satisfies the unique business requirements, work styles and budgets of their small and medium-sized business (SMB) clients, as well as those that best serve their own partner organizations. Gold, Silver, and Bronze winners were named in each category. The award marks the fourth time CyberPower has received the designation by ChannelPro-SMB in the last several years. ChannelPro-SMB, part of The ChannelPro Network, provides targeted business and technology information for IT channel partners who serve small and midsize businesses. 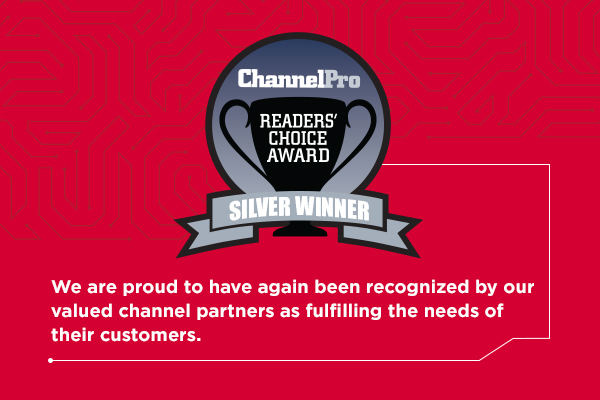 Via a monthly magazine and associated online properties, The ChannelPro Network delivers an expert opinion, analysis, news, product reviews, and advice vital to a reseller’s business success. Perspectives from VARs, vendors, distributors, and analysts are spotlighted daily. No other media company focuses on the small and midsize marketplace like ChannelPro-SMB. More information is available at https://www.channelpronetwork.com. CyberPower designs and manufactures uninterruptible power supply systems, power distribution units, surge protectors, remote management hardware, power management software, mobile chargers and connectivity products. The company serves customers in the enterprise, corporate, government, education, healthcare, and small office/home office environments. CyberPower products are available through authorized distributors and sold by value-added resellers, system integrators, managed service providers, select retailers, and online resellers. For more information, visit https://www.cyberpowersystems.com.